A safe environment. Sound nutrition. Healthy relationships. Children’s Center for the Child & Community (formerly known as Teach a Kid to Fish) aims to integrate health care and public health efforts to improve the overall health of children statewide. 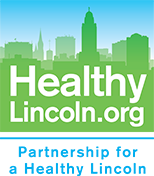 The Center collaborates with communities across Nebraska to create local solutions to large-scale children’s health issues, such as childhood obesity, poverty, injury prevention and food insecurity. In addition to building partnerships that improve the health of children, it also will strengthen the role of Children’s Hospital & Medical Center in advocacy and health care policy. Children’s Hospital & Medical Center acquired Teach a Kid to Fish in an effort to continue its programming, but in a more dynamic and expanded capacity. Headquartered at Nebraska Innovation Campus in Lincoln, the Center is led by Karla Lester, M.D., a longtime pediatrician-turned-community advocate and founder of Teach a Kid to Fish. Dr. Lester also serves as medical provider for Children’s HEROES pediatric weight management clinic in Lincoln. For more information, visit their web site.